Fabiano Amadi is one of the most highly-acclaimed masters of the great Murano glass tradition. 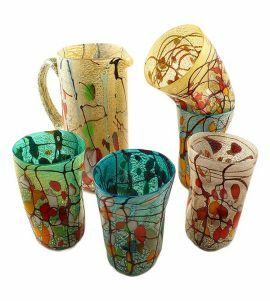 Born in Venice in 1962, he now lives in Murano where the glassworks he has owned since 1995 is based. Despite being young, having started at the age of 14, he boasts lengthy experience and has studied under two of the great masters: Francesco Barbini and Ennio Compagno, also known as “Orfeo”. Amadi’s products are the fruit of unparalleled artistic talent and his melting pot has been the cradle for many priceless classic and modern style works of art. He is able to interpret the standard forms with great technical expertise and chromatic sensitivity and at the same time, express himself in the creation of contemporary glass in an innovative and original way. 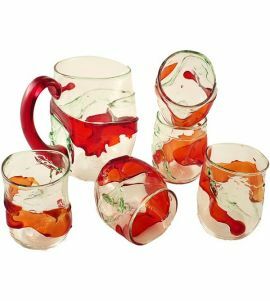 It is here, in his contemporary work that Fabiano shows off his talents to the full, especially when combined with the sensitivity of top designers able to blend innovation and respect for the traditions and techniques of glassblowing. Famous designers and sculptors (including the Milanese architect Gennaro Avallone and Bergamo-born sculptor Luigi Benzoni), struck by Amadi’s creative talent, have established a profitable working partnership with him over the years. He also has ongoing relationships with some of Italy’s top designer names (Etro, Fendi, Missoni, Trussardi, Blue Marine, Mariella Burani and Alviero Martini), for which he interprets each one’s aesthetic philosophy in glass. Fabiano Amadi therefore boasts widespread public consensus and ever-greater exposure on the pages of specialist design and decoration magazines (Vogue, Vogue Casa, Elle Decor, Maison Francaise). Fabiano Amadi has been defined as the Popeye of Murano Glass, due to the size of his vases (vases are one of his best selling pieces). 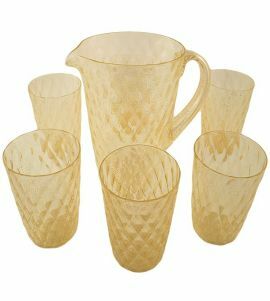 His vases are heavy and thick, often in colourless crystalline glass and gold leaf or shiny black. The sizes and weights of these articles require significant physical prowess, given that to make them, Amadi only uses traditional work techniques and conventional instruments. His flair for experimentation and contemporary edge are most evident in his series of tribal and black vases.